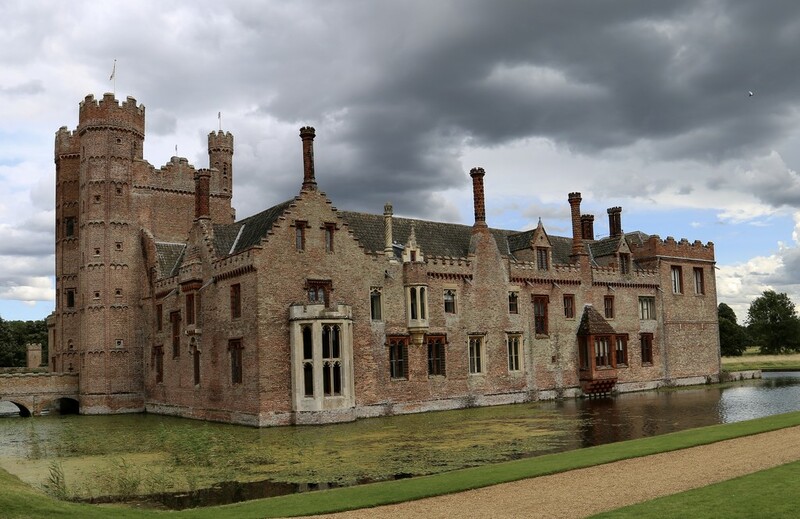 On our way to Norfolk for a long (birthday) weekend, we called in on the National Trust property Oxburgh Hall, a 15th Century moated manor house. I came here as a kid, a few times I seem to recall, as we lived around 8 miles south; seems smaller than I recall. More about Oxburgh Hall at the following link. Very impressive building, hope those clouds clear for the weekend celebrations. What a beautiful place. It was nice to take the detour. Lovely shot made even better with that fabulous sky! Phyl a much gloom in your image with those ominous clouds in the sky ! What a difference an hour between shots makes! Just a remarkable place, have fun on your birthday weekend! Fav! I want to see Montacute House in Somerset! It is suppose to be my ancestral home!